Drilling for petroleum in an oilfield is a dangerous job. The potential for accidents can be found at nearly every phase of the drilling and extraction process. Searching for oil can place workers at risk of injury due to a sudden explosion, exposure to toxic chemicals, or dangerous falls. OSHA (the Occupational Health and Safety Administration) reported that more than four thousand oilfield workers have been injured at various worksites. One hundred of those injuries sustained in oilfield accidents ultimately ended in death. Many of the deaths were a direct result of negligence by another party. In most cases, the drilling company failed to provide adequate safety equipment at the worksite. 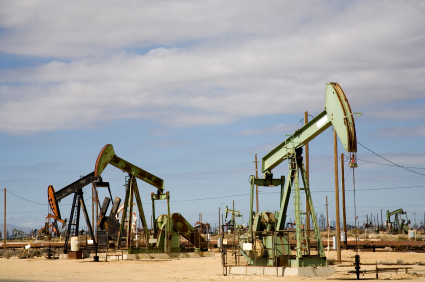 It is important to remember that oilfield accidents not only affect the workers involved, but can also harm and destroy the property in the surrounding areas. Knowing some of the most common causes of oilfield accidents can help you be prepared while working in the field. Vapors released over time from the drilling process can build up and seep into surrounding storage containers. The pressure will eventually become too much for the containers to hold, leading to an explosion. An anti-pressure device must be put into place to help negate this type of accident from happening. Explosions can also occur when sparks flying off a welding device come into contact with combustible elements in the air, producing an explosive gas fire. There are several possible injuries that can occur because of this type of oilfield accident, including severe burns all over the body. A possible head injury from being thrown from the impact of the explosion and numerous broken bones can also occur. Oilfield fires occur when pressurized gas comes into contact with other materials. Controlling fires of this nature can be extremely difficult because it requires firefighters to contain and extinguish the fire from a distance. The process of putting out the fire begins with using explosives to create a shockwave on the earth’s surface. This practice will put distance between the fire zone and the unharmed land. After this step is completed, the flow of the oil must be capped to prevent further movement of the fire. Oilfield equipment maintenance is essential for success because it prevents a number of oilfield accidents from occurring. However, oilfield accidents do happen, especially if poor maintenance has taken place. These factors can cause a wide variety of injuries to oilfield workers. Someone could become trapped underneath heavy machinery, endure a possible limb amputation, or incur hearing and vision loss, among other injuries. The environment of an oilfield is very fast-paced and requires individuals to be focused on the task at hand. Oilfield accidents can occur if workers are not familiar with all of the machinery used in their positions. An inexperienced crew member could become a liability to themselves and others if they do not have proper education and training. One minor mistake could escalate into a major oilfield accident and put everyone at risk of injury. Providing proper training and knowledge of how to correctly operate oilfield equipment is essential to ensuring quality safety protocols. Quick instincts strengthened by training in the field could help reduce the amount of injuries sustained in oilfield accidents. If you have been injured in an oilfield accident, you may be able to pursue legal action or submit a claim to receive compensation. A personal injury attorney has the expertise and experience to evaluate your case. For more information on how you can get assistance with your claim, contact Attorney Dean Boyd today. Call us at (806) 242-3333 or Contact Us via email for more information about our services. You can also visit our office in person at 4423 SW 45th Ave in Amarillo, Texas or 5012 50th St #103 in Lubbock, Texas.